Originally built in the 19th century by foreign missionaries to escape the heat and the then prevelance of tropical diseases in the plains – nowadays its backpackers, hikers and honeymooning couples that come fleeing the heat. 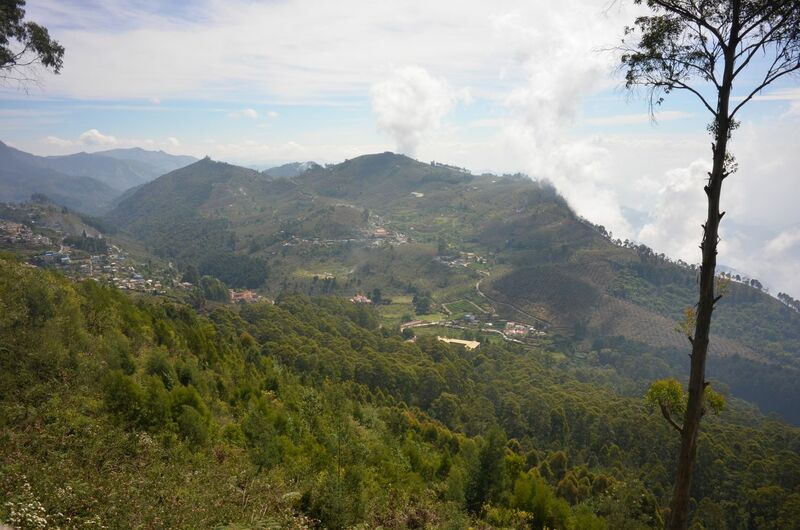 At 2,100 meters up, Kodaikanal was a good 15-20C cooler than Madurai – this makes the region an ideal spot for growing everything from carrots, cabbages and pears to tea and spices. 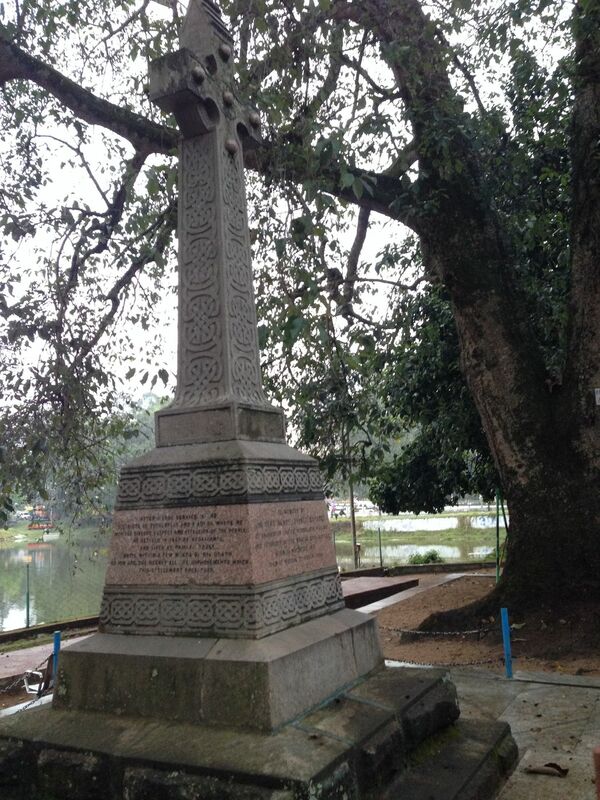 Also discovered that I wasn’t quite the first from Westmeath to discover Kodaikanal – meet Sir Vere Henry Levinge, Baronet of Knockdrin Castle – who’s commerated here with a lakeside memorial. I’d been to Alleppey (known locally as Alappuzha) before but only for an overnight trip on one of its well-known riverboats. With a couple of extra days, it was time to get lost in the backwaters. The whole area is cris-crossed with canals – originally used for the shippment of both rice and spices etc from further east and great for kayaking. 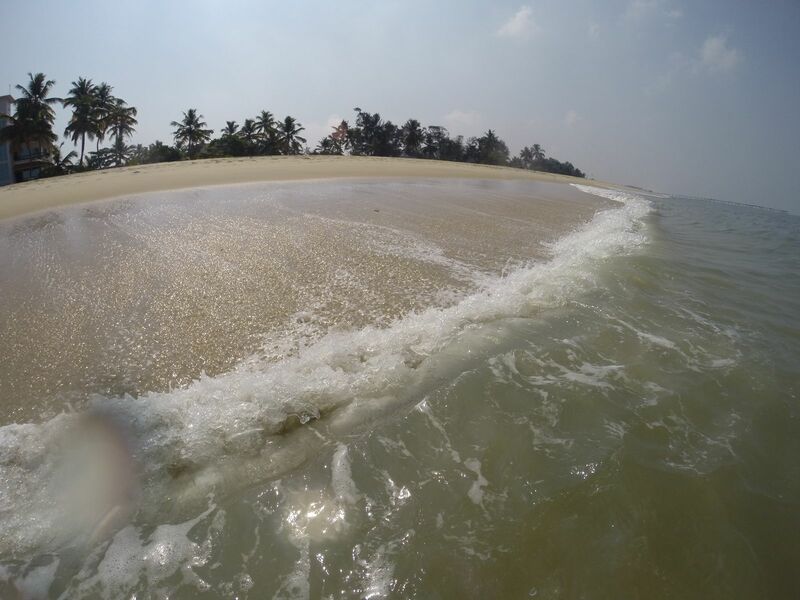 Allepey also has an excellent beach which unlike most beaches in South India was only moderately leathal for swimming. The Lonely Planet describes it as a ‘fraught’ beach, but the locals were swimming, so we said we’d give it a shot. Last stop Cochin – the commercial capital of Kerala… one last sunset – for now. This entry was posted in Uncategorized and tagged Alappuzha, Alleppey, Cochin, India, Kerala, Kochin, Kodai, Kodaikanal, Spice Hills, Tamil Nadu on March 30, 2014 by jp1100001.